Our neighbor, Chocolate Chocolate Chocolate Company, has sold our moisturizing, Chocolate soap since they moved to the Hill. Like us, they pride themselves on being 100% natural and they offer factory tours. Like their gold-wrapped chocolate bars, our Chocolate Chocolate Chocolate Company soap bars get wrapped in gold foil, too. If you love chocolate, you’ll love this bar. Enjoy it all you want and you won’t gain an ounce. Chocolate is good for you. We use only real chocolate, an absolute of cocoa beans from the cacao tree, Theobroma cacao. The genus name Theobroma means "food of the gods." 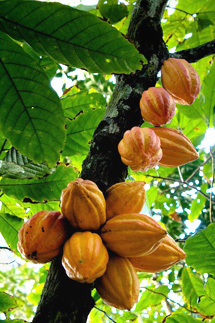 Also from Theobroma cacao comes the cocoa butter we add as an excellent emollient to soften your skin. Our Chocolate soap delivers a bounty of antioxidants and phytonutrients to and through your skin. Its scrumptiously scented creamy lather is anti-bacterial as well. Every chocolate lover you know will crave this cake of soap. 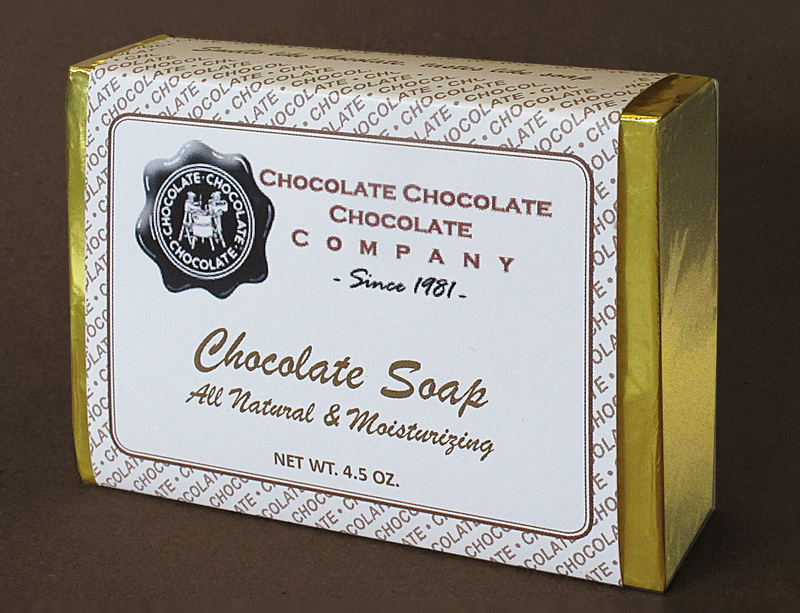 Our soap uses real chocolate, not artificial. It’s like a brownie made from scratch, not a Little Debbie. This is the same as our Chocolate Soap with a different wrapper.